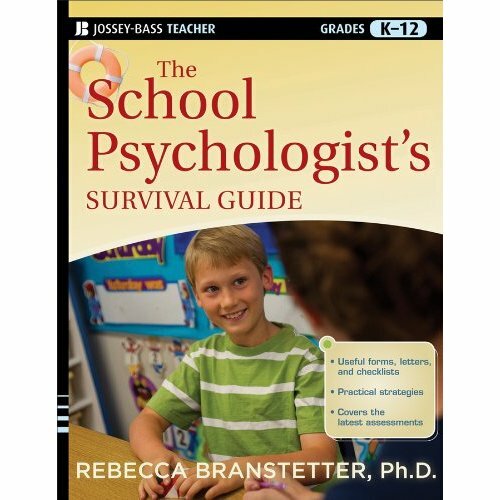 The School Psychologist’s Survival Guide! Oh snap! Finally! 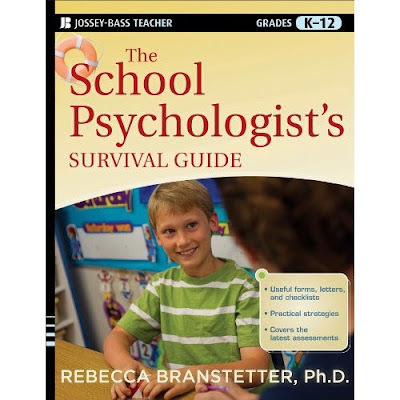 There’s a guide for school psychologists that is practical, time-saving, and useful! This isn’t the run of the mill “What is School Psychology?” textbook from graduate school, but a resource guide for surviving in the chaos of the job once you actually get in the field. Newbies will love the advice and time saving tips. School psychologists who have been around a while will get fresh ideas and strategies to continue doing their jobs without going crazy themselves! Think you’re going to tear your hair out the next time you get an inappropriate referral? Do you want to poke your own eyes out if you have to write another psychoeducational report on the weekend? Fret no more! There is help in this guide. And of course, it is written with juuuuuuuust a splash of snark to keep it spicy and entertaining. Snarky? Moi? There are time-saving reproducible worksheets, letters, spreadsheets, and organizational tools that are ready for you to Xerox and use tomorrow. Be still my nerdy heart! I am SO excited to share this resource with you all and I hope you will find it useful as you start out in the profession or revive and improve your practice as a school psychologist. Know that this survival guide was a true labor of love for me to write**, and it was inspired by all of you readers with your great questions, comments, and posts on the Facey Face page for the blog. You can pre-order it off of Amazon.com by clicking here. If you pre-order, I believe you get a better price. The book will arrive right in time for the spring freak-out when everyone refers kids to you and you can’t imagine how you will do all your work without going cuckoopants. Hey, maybe the book will even come on your spring break, and you can relax on the beach with it? Erm, maybe it’s not exactly a beach read, but you get the idea. Now I can relax and not feel guilty about my lack of posting on the blog, right? I mean, you guys can now have hundreds of pages of school psychology fun at your fingertips! Wheeeeeee! I sincerely hope you like mama’s other baby! *For those of you who read “This is my confession” to the tune of R. Kelly’s remix “Confessions” you get extra points. **Labor indeed. This book and my baby were both due in August. I spent my final weeks of pregnancy frantically trying to finish edits while Baby B kicked (punched?) my gut. She was really helpful in the motivation department, giving me a kick start when I needed it. Get it? Kick start? Oh, nevermind. Fabulous!! You so motivate me! I'm switching careers to school psychology and you really make me excited about my potential to share info/insights and to write a book one day, too. I will pre-order now! PS; I start a great school psyc program in August, the same week I'm due to give birth (babies and timing!!!) This is my 2nd child so I am believing that I can at least go to class for a couple of hours and come back to vegetate for a while (with a husband who is taking two weeks off to help me launch my school psyc program on the right foot).) Anyway, Congratulations and looking forward to seeing your book! Ordering now for myself and 3 friends…I'm gonna be like Oprah, "you get a survival guide, EVERYBODY GETS A SURVIVAL GUIDE!!!!" by the way, Usher has the Confessions remix and I so did that! extra points for me! Congrats to you on #2 and your grad school program! OH MY GOSH I AM SO EXCITED FOR YOU THAT I AM SHOUTING ON THE INTERNETZ!!!1! Sorry. Getting it together now. The only way I could be more excited would be if I were a school psychologist and actually needed the book for myself. This is going to be so valuable for soooo many people, and will open up lots of doors for you to help even more people. Yay. So impressed you made this happen while making a person and then while caring for that person. WOW. I'm so excited for this! Not to mention it will be a perfect end-of-the-semester parting gift for my current practicum student before she embarks on internship. I will be buying this in 2 years before I graduate from my program at CSUEB. For the moment, I have more than enough school psych related reading materials. Thanks for thinking of us newbies!